The presidential election is not yet over. How the Trump transition team behaves between now and December 19th matters. On that day, electors of the Electoral College cast their ballots. Only then does America have a properly elected president who will take the oath of office on January 20th. Clinton’s lead in the popular vote now exceeds 1.3 million. Factor in votes for third party candidates and 53.1 percent of voters cast their ballots for candidates other than Trump. Trump is the fifth “president-elect” in US history to lose the nation’s total popular vote while winning the Electoral College vote. George W. Bush was the fourth in 2000. JFK’s election in 1960 was “disputed.” Presently, 4.4 million people have signed a Change.org petition asking Electoral College electors to vote for Clinton. Electors are being individually lobbied and sometimes harassed. Political parties select their electors, and it is fully expected that the electors will gather at their respective state capitals to cast their votes as pledged on the first Monday after the second Wednesday in December. Electors choosing not to vote according to their pledges will still have their votes counted. These so-called “faithless electors” would break their pledge by voting for someone else or choosing not to vote. There have been 157 faithless electors since the advent of the Electoral College. Unpledged electors have no pledge to break. It speaks to Clinton’s dignity and her commitment to the peaceful constitutional transfer of power that she is not publicly promoting this or any other petition to contest the election. This Washington Post article looks at the internal workings of the Electoral College in ways that will escape most civics classes. The Office of the Federal Register administers the Electoral College. The Post reports that OFR staff are being bombarded with questions, rants, and much worse. The Electors sign their respective state’s electoral certificates and send them to Congress and to a particular division within OFR. There are usually a handful of states that screw something up. Either the governor didn’t sign the certificate, or they didn’t put the state seal on it, or they got the election date wrong—in which case [the Legal Affairs and Policy] division says “try again.” Then, [staff attorney Miriam Vincent] and her colleagues compare its 51 certificates to the ones received by Congress, to make sure everything checks out. And then we have a president. Here is an entertaining 2:30-minute video produced by the New York Times explaining the Electoral College. In the Electoral College, each state is represented by appointed electors equal in number to the state’s members in Congress. These electors are expected to cast their votes for the candidates selected by the popular vote in their state. The political parties in each state appoint the electors. If a state has a tie between elector votes, the tie breaking process is different for each state. The Electoral College is one of the most controversial, ridiculed and misunderstood parts of the US Constitution. 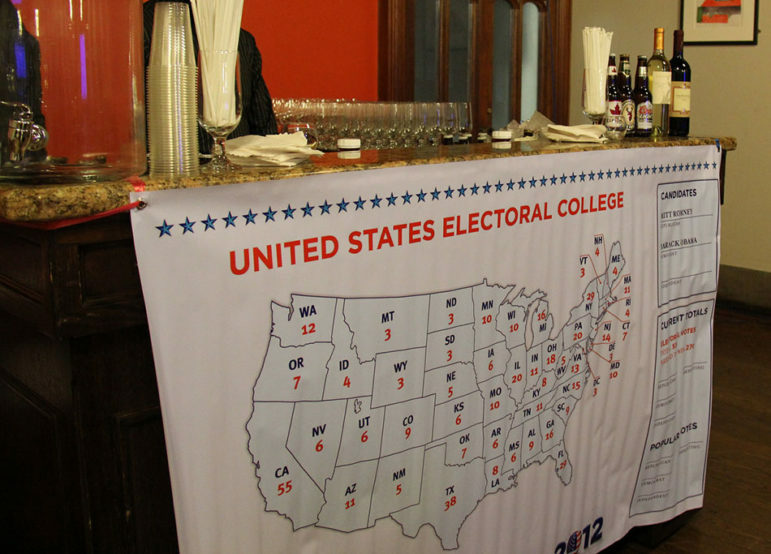 Some myths persist about the Electoral College. In explaining one, the Washington Post reminds us of our history. The important division was between states that relied on slavery and those that didn’t, not between large and small states. A direct election for president did not sit well with most delegates from the slave states, which had large populations but far fewer eligible voters. They gravitated toward the Electoral College as a compromise because it was based on population. The convention had agreed to count each slave as three-fifths of a person for the purpose of calculating each state’s allotment of seats in Congress.